Two years ago H. Davis Cole engineers presented four options to replace the weir in New River with control structures ranging in price from $1.9 to $3.2 million. 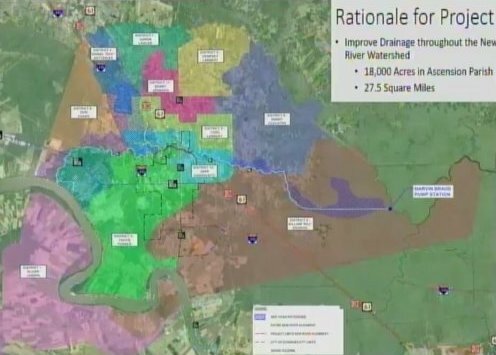 A fanciful two-tiered, $20 million drainage system was interjected into the equation (by former Drainage Director Bill Roux), finger pointing at Gonzales’ residents for being freeloaders (Roux again), other sundry delays and EA Drainage Board approved a $4.2 million project on Monday. All things being equal, two years is lightning speed when it comes to approving big ticket drainage improvements by this board. It’s been two years, plus four months since the former director promised a Floodplain Management Plan with a “no fill in floodplains” and that continues to languish. Laurel Ridge Levee extension has been on the drawing board for decades; Frog/Fish Bayou improvements not quite so long. David Martin of H. Davis Cole was on hand to pitch the New River project’s merits. Its watershed includes 18,000 acres and weir removal/dredging will impact “quite a few council districts.” With Election Day eight months away that has some added appeal. 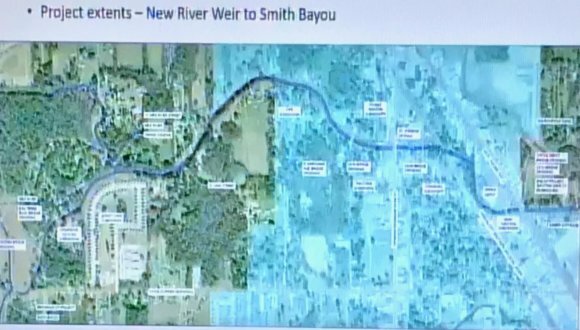 The project calls for removal of the weir behind Walmart on Weber City Rd (not inside Gonzales’ city limits by the way), and dredging New River’s 2.7 mile course until it meets Smith Bayou. 1.5 miles of the stream lies within the city where $3.5 million is generated annually toward EA Drainage’s operations. Design will be completed by the end of this month, construction to commence in 90-120 days with a 12-15 month timeline. Councilman Bill Dawson raised the only objection because no “cost-benefit analysis” of actual dollars saved in flood prevention was included in Monday’s presentation. Maybe Dawson’s new cost-consciousness is a product of his elevation to chair the Council’s Finance Committee since he never tied his vote to the information before, not even during his two-year tenure as council chair. 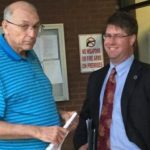 Dawson pointed out that mere weir removal, without dredging, was one of the options discussed over the past two years and it would cost a relative pittance, $100,000. Infrastructure Division Director William Daniel responded that the project “will benefit thousands of residents” (outside of Dawson’s District 2). 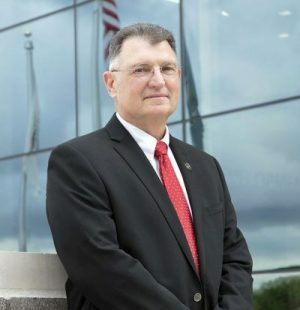 Since the Bayou Goudine drains northwest Ascension as it flows into New River improvements will benefit Geismar and Dutchtown, even Prairieville residents of Council Daniel “Doc” Satterlee’s District 4. (Assistant?) 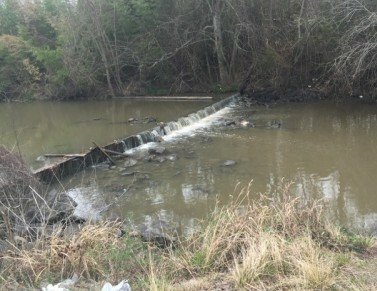 DPW Director Ron Savoy explained that Bayou Goudine’s regular depth is 4/5′ compared to New River’s 1/2′ depth which is due to the latter’s silting in which is, in turn, due to the weir.